Why Yoga Nidra over any other Meditation? Home / Why Yoga Nidra over any other Meditation? With mental stress, tensions, insomnia and other contemporary problems on the hike, mediation seem to be the only permanent respite. The question here is not ‘should I be meditating?’but, which Meditation should I be doing? Ajjapa Jappa, Antar Mouna, Inner Peace, one pointed meditation, mantra meditation, the list is endless. All of these meditations offer great results, but when we are looking for outcomes that start with immediate effect, our go to meditation would be Yoga Nidra or Yogic Sleep. Sages have used the yogic sleep meditation for years to reach the deepest level of the consciousness and visit the inner sanctuary. In a waking state, our brain is producing faster beta waves but with Yoga Nidra, the brain activity drops down & relaxes with the help of progressive relaxation technique. Slow Alpha waves along with slower theta waves are released as the mind approaches the jurisdiction of the subconscious mind. The switch over from the left to right part of the brain is effortless & intentions flow with spontaneity. Even the sympathetic and parasympathetic system is balanced and what we experience can be rightly termed as bliss. Sitting for hours on the floor, waiting for liberation to manifest can be challenging at times. The journey to the inner peace can be misleading, but meditation asks us to wear our most comfortable suit. 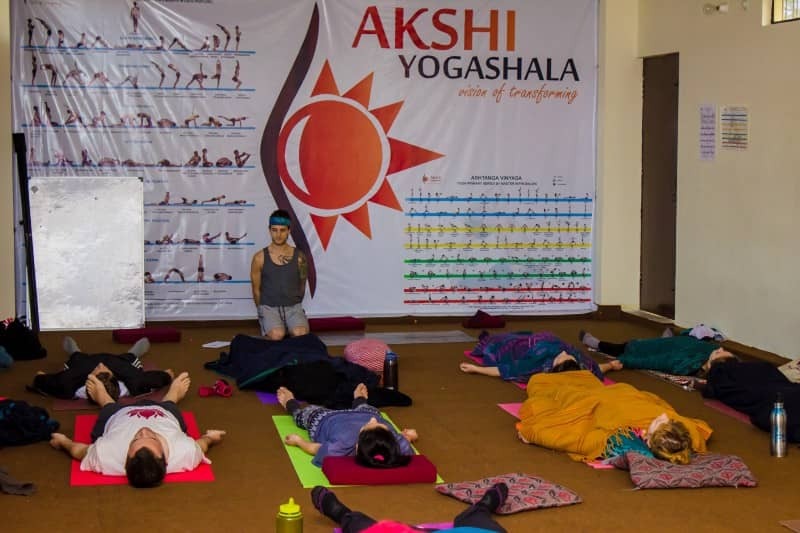 Yogic Sleep unlike the vinayasa flow classes does not require any skill. The practitioner can simply lie down, play the audio/request the teacher to instruct, and swim deeper into the world of oneness, possibilities and freedom. By connecting the chords of the subconscious & pranic intelligence to the conscious self, a new sense of harmony can be experienced easily. Swami Satyananda Sarawati ji mentioned in his book, Yoga Nidra, “Whether you hear your teacher’s instructions or not does not matter. Even if you are dreaming of something else, the suggestions made by the teacher are still going to work on the subconscious mind.” Yes, there is nothing wrong you can do, while you are practicing this ancient science. Lying down in Savasana, and just being aware of what is happening inside the mind is enough to take you through. If the practitioner falls asleep, the process will still work, the subconscious does not need mental awareness to do the job we assign it to do at the onset of the meditation. A catalyst in the journey to the deepest recesses of the mind, with Yoga Nidra one can expect to release entrapped emotions, meet their fears and eliminate them to restructure and reform a whole new personality. The emotions weighing down the vital energy have kidnapped & chained our freedom through past life karma, karmic seeds, anger, fear, attachment, jealousy, hatred,etc. These emotions & karmic seeds can be destroyed to experience a state of bliss. “Like the mythological phoenix, with every session we are burning the old samskaras, habits and tendencies” said Swami Satyananda Sarawati ji in his book, Yoga Nidra. By temporarily disconnected ourselves from the reality we have formed around us, based on our belief systems, societal pressure, expectations & past life impressions. We are reconnected to the true reality, our true nature through this meditation where we are whole, complete & powerful. All the blocks, fear and apprehensions are washed off to promote a spiritual awareness and understanding of how as a human being we truly are. The power within us, the power that has the capability to achieve self-healing, growth and endless possibilities is unlocked. We are faced to a mirror that reflects our image devoid ofself-doubt. Yoga Nidra practice is not based on the concept of time. Based on the amount of hours or minutes we can spare in our day, it can be customized and easily fit in any bag it is carried. The guided voice helps us follow through, unlike other meditations. For instance, in one pointed meditation, we are trying to focus on a blank wall but other thoughts barge in to create obstacles. In case of Yoga Nidra, we can plug in the headphones or visit the meditation class, to loose into the trance present inside us ready to escape the current reality and reach out to the world of wellness and harmony. A master path towards liberation, & unlocking great potential of the self, Yoga Nidra is a sleep with awareness. It is a sleep that is more powerful than wakefulness & consciousness. Swami Satyananda Saraswati ji says, “ One hour of Yoga Nidra is equivalent to 4–5 hours of normal sleep” Following his words, it is ideal to say, when we have the key to the reservoir of knowledge then why not tap into it and uncover the power of subconscious.